The PA supports and promotes the mission of All Saints by enhancing many of the school’s outstanding programs and communicating between the parents, teachers, and administration. The PA coordinates with administration to plan a variety of school-wide and division specific events, such as the Back-to-School Fair, Trunk or Treat, Field Days, and Faculty / Staff Appreciation lunches and breakfasts. 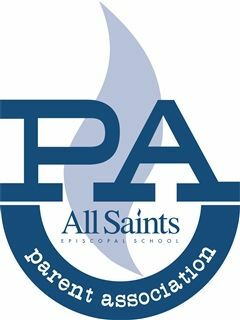 The PA also hosts the annual Spring Gala fundraiser which provides many volunteer opportunities and is a wonderful way to get to know other All Saints parents while raising money for All Saints. There are many ways parents can help to continue All Saints’ history of excellence. The success of the PA efforts and events relies heavily on volunteers, and we encourage all parents to get involved in the area that suits their time and talents.